The main school in Salerno city is placed in an antique italian palace with a great view of the ocean and it's also situated in the Via Roma right in the old town which offers a huge advantage if you want to discover Salerno. If you choose to have lessons in Salerno city, accommodation automatically is in Italian host families, in double/triple rooms based on full board. Adults also have courses in this building, meaning parents and children can have lessons in the same location! Pontecagnano is a nice seaside village, only 15 km from Salerno. 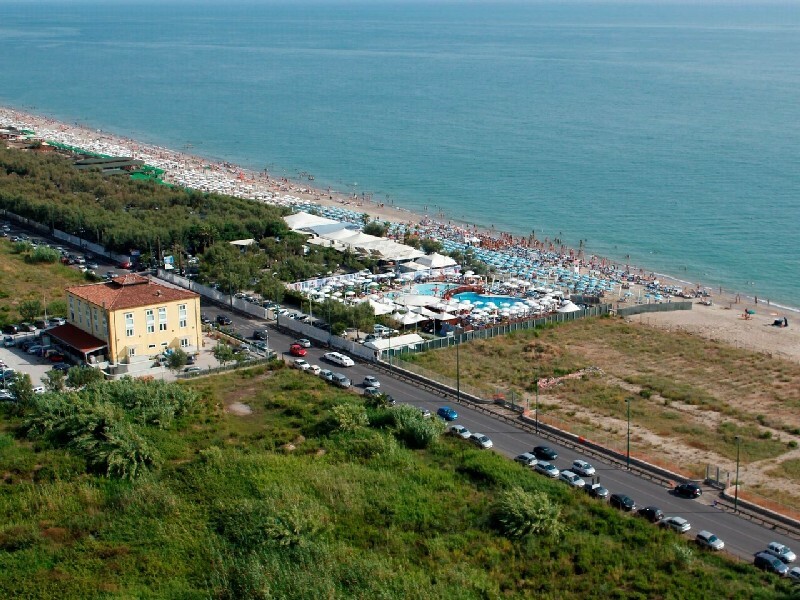 The hotel in Pontecagnano on the other hand, offers a private beach, a restaurant, entertainment, juniors mini club, WIFI. It provides a very secure environment. All the activities (language lessons, leisure activities, meals and accommodation) included in the program take place in the resort and participants stay here for the whole duration of the program under the supervision of our tutors. Programme available between July1st and August 10th. Residence (hotel): The Residence is a Hotel ("Isla Bonita") located in Pontecagnano, a nice seaside village, only 15 km from Salerno. An airport group transfer from and to Naples airport (2 ways) in a private shuttle bus is included in the price. For those who are planning to learn more Italian after the lessons, staying in a host family is a suitable option. This way you will learn more about the culture and language of Italy. When you book the programme with accommodation in a Host Family, you attend the Italian course at the main school in Salerno city, and stay in a double/triple room with a native Italian host family, based on full board. The host families are in walking distance from the school (max. 10 minutes - min. 5 minutes on foot). The hotel in Pontecagnano, "Isla Bonita", offers a private beach, a restaurant, entertainment, juniors mini club, WIFI. It provides a very secure environment. All the activities (language lessons, leisure activities, meals and accommodation) included in the program take place in the resort and participants stay here for the whole duration of the program under the supervision of our tutors. You'll stay in a double/triple room based on full board.